Despite being just 21 miles long and 14 miles wide, Barbados offers as much opportunity for you and your new partner to soak up the slow and easy attitude to life on white sandy beaches, as it does to dance the night away to a multitude of rhythms in Bridgetown and the rest of the south. Both locations also offer an abundance of local seafood restaurants and nightlife, providing the perfect setting for a vibrant wedding celebration. 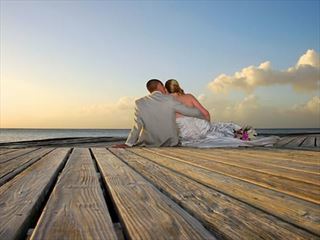 Thanks to Barbados’ popularity as a wedding destination, many of the hotels on the island offer wedding packages – particularly those on the eastern side. 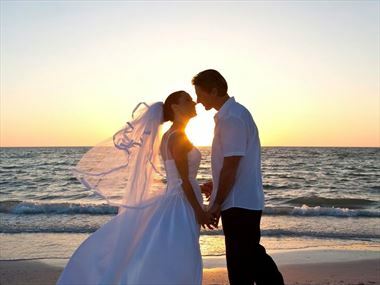 Tropical Sky can help you choose your hotel as well as helping you organize everything else that makes your wedding day perfect, from decorating the wedding location to paying the government fees. 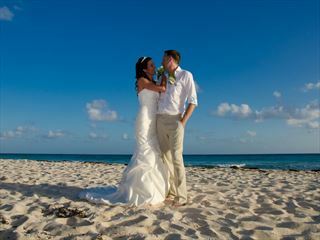 Call our expert team today and start planning your dream Barbados wedding. Prices correct as at 6pm on Apr 17, 2019. Please call for final price. 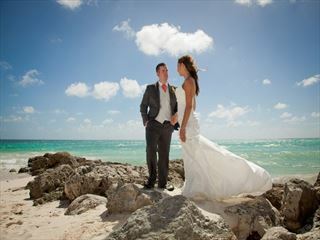 Plan the destination wedding of your dreams with the Caribbean sea as your backdrop, with Crystal Cove offering an array of services and amenities just for your big day. Sea Breeze Beach House is an intimate, luxury, boutique All-Inclusive resort. This contemporary property has recently been fully refurbished and offers stunning views, a wide range of facilities. 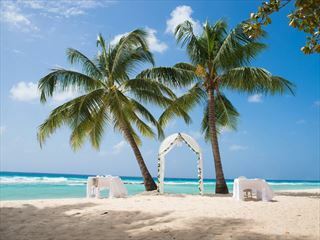 Sugar Bay is a brand new resort boasting a fabulous beachfront location on Barbados’ sunny southern coast. This all-inclusive family-friendly resort offers a stylish design with a sophisticated, modern twist. 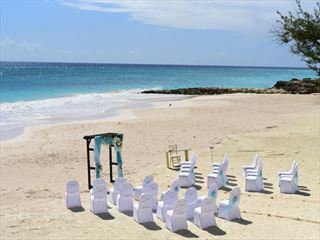 Why book your Barbados Wedding with Tropical Sky?